My latest combo release is a custom Yorkshire Tea design. 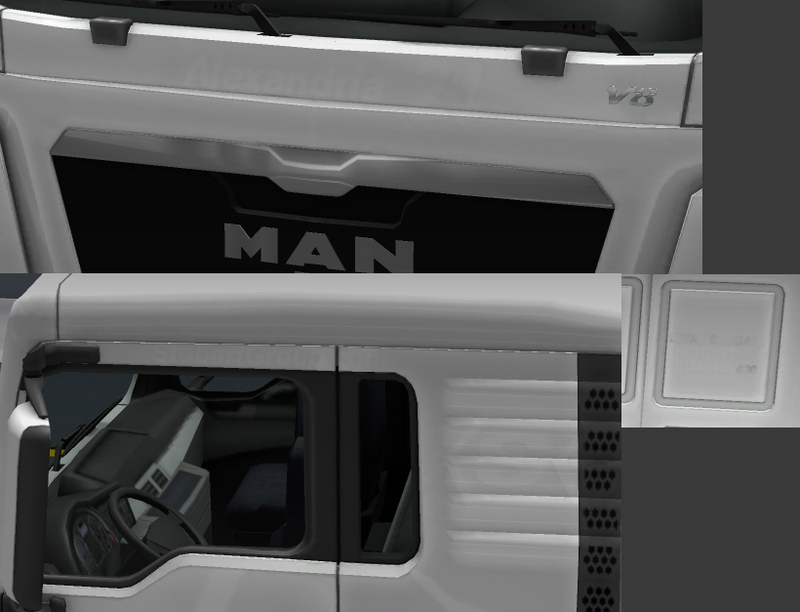 The Daf has 4 skin variants for the front grill, it is designed specifically for the parts shown. Ohaha’s daf mod is required for the painted grill. 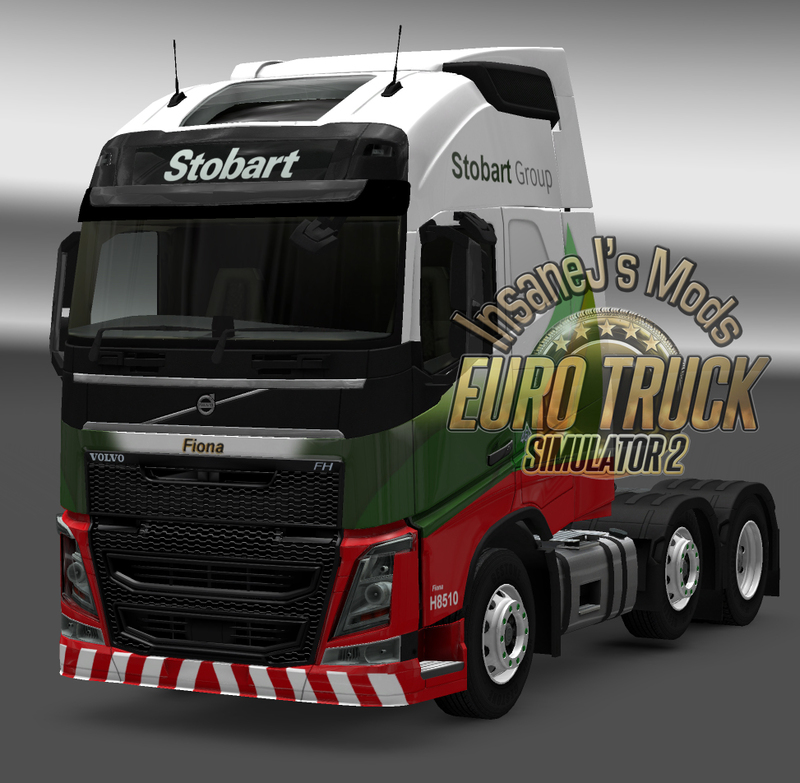 First up I have added Fiona – H8510 to the Stobart trucks pack and as a solo option. Fiona is the first true Stobart Engery liveried Volvo 2012 in the fleet, not counting the owner driver version. 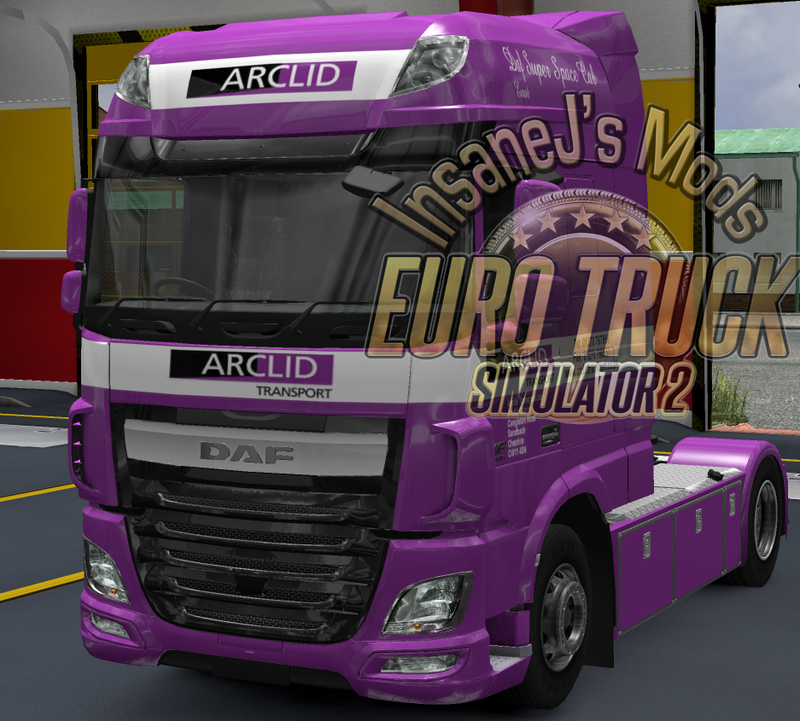 I have also added ATL to the truck skins page, both 105 and euro6 DAF. First up, not something I would normally do. But everyday I log into World of Trucks, and nearly every day I see a photo of one of my skins posted by RavensCraig. It’s always nice to see my work on WoT, nice to know other people are enjoying them. The BSM has once again been updated. The good news is I am 100% confident I have found all issues from the update. It’s taken me a few days, but I have gone through the joblist repeatedly until I found every single trailer/skin with all appropriate cargo. This update is not a necessary one, in two cases the SDC trailer file in the cargo folders were not using the correct names which stopped those two cargoes loading on the SDC only. This has been fixed. I’ve also added new wheels to the SDC trailer as they look better than default and changed “Fizzy Drinks” to “Coca-Cola”. I’ve also added a new pack to the combo page. This one is an SDC trailer and DAF XF 105 with a Shipley Transport Services. I was parked opposite “Blue Thunder” and Friday and really liked the design. 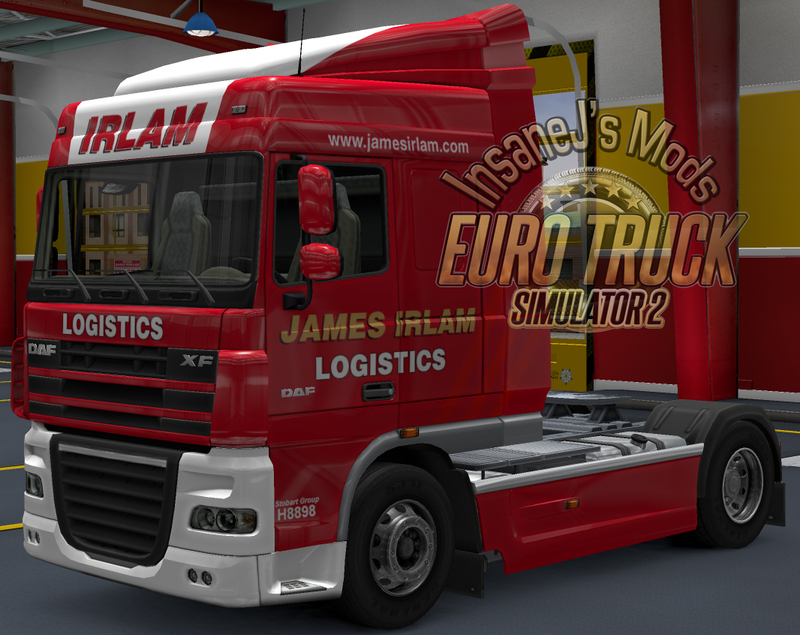 New combo now available, Williams Transport. The pack includes two trailers, each with two types of cargo, and a DAF. By request I have now release an Arclid silo that pulls sand. As a result the existing Arclid truck skins have been removed from the truck skin page and added to the combo skins page. An Arclid DAF E6 and a James Irlam DAF XF & Trailer combo. First up the BANKS of England, Horseshoe/Laysoft, and RR Transport trucks/trailers have been moved to the Combo Skins page as mentioned earlier. For those of you paying attention you may have noticed I mentioned there being two versions of ex-Stobarts. The first version will be as expected white trucks with the lower red part & chevrons and will be called “clean”. If you look carefully the areas where there were logos/truck name you can still make out the designs, giving it the appearance that the decals have been pealed off and the truck has not been resprayed to hide the colour difference between the old white and paint kept fresh under the decals. I know it’s a very minor thing, but what they hell. If I’m going to make ex-Stobarts I’m gonna do it right. The clean and dirty packs will be compatible with each other for those who want to try both.